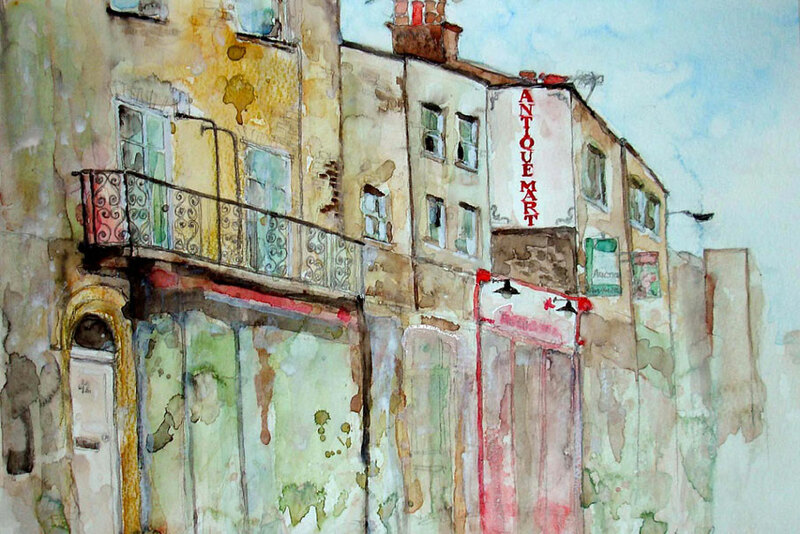 Welcome to the Richmond Art Society’s website. We hold two major exhibitions each year and a substantial lecture programme on artists and art history. We welcome new members to the Society. To find out about joining click here. The membership is made up of those for whom artistic creation is an end in itself, including professional and semi-professional artists, and those who enjoy our highly-regarded art history lectures. To find out about joining, click click here. We endeavour to offer a season of lectures relevant to exhibitions that are current in London. It’s a fantastic bargain for members, and for non-members we’re offering free entry to one lecture of your choice. Just email to jude.wild@virgin.net with your full name and say which lecture you would like to attend. Choose here. I have always loved art and drawing and painting and even when working took evening classes and a sketch book on holiday. Once my youngest had started school I began life drawing classes again, and have been exhibiting and selling work for about ten years. I’ve always found the human figure and face a source of inspiration – so many different ways to use it – and always a challenge! although I deviate every now and then and paint the occasional landscape or still life. I love experimenting with different mediums and different techniques, from mixing inks, liquid watercolours and acrylics to combining paint, corrugated cardboard and ripped magazine papers! Read more about Caroline, our featured artist. 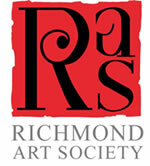 The Richmond Art Society is now over sixty years old. It started life in the late 1940s as the Richmond Art Group and met in the old Richmond Art School, among whose pupils had been John Piper. 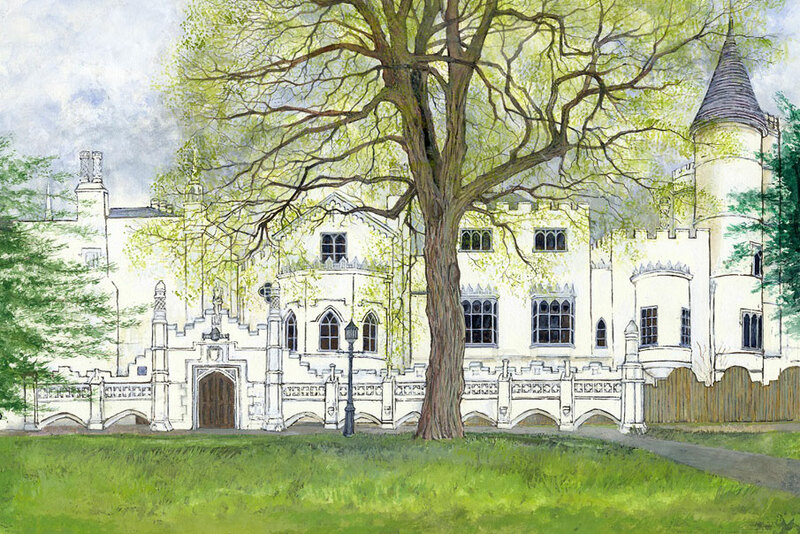 By the mid-fifties it was having an annual exhibition, lectures and art discussions, and for a long time – from the mid-fifties to the mid-eighties – there was an open-air Summer Exhibition on the Terrace at the top of Richmond Hill. 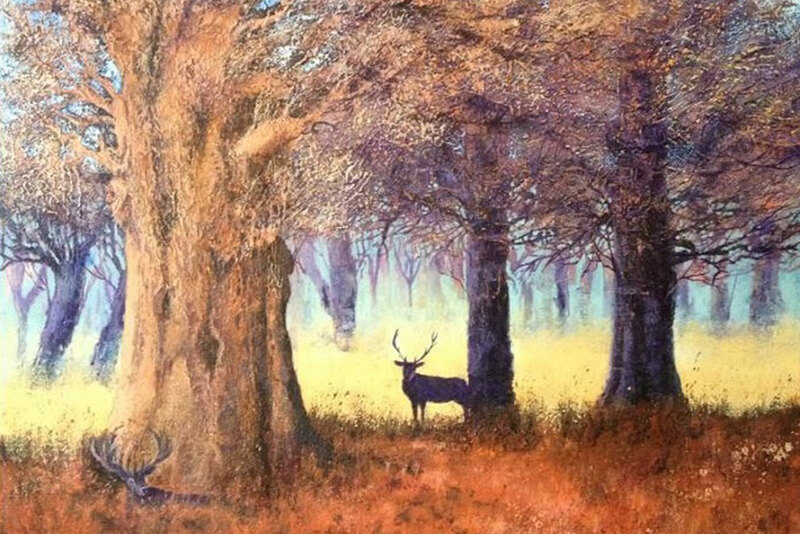 The Society now holds two exhibitions every year – one in the spring or early summer, usually in the Landmark Arts Centre in Teddington and one in late Autumn at varying locations in the borough. Well known figures opening past shows have included MPs Susan Kramer, Zac Goldsmith and Vince Cable, actress Rosemary Leach, writers Michael Frayn and Claire Tomalin, and artists Ken Howard RA and Jason Bowyer PNEAC. Every winter season from September through to March the Society runs an excellent series of lectures, slide shows and demonstrations by renowned artists and experts. One of the aims of the Society is to bring together those living in and around Richmond who are interested in the visual arts. Working artists number over 100 among its 200 members. For a list of the current committee members, click here. During 2012 the Society played a major role in celebrating the 35 years Richmond has been twinned with Fontainebleau, the historic chateau town near Paris. 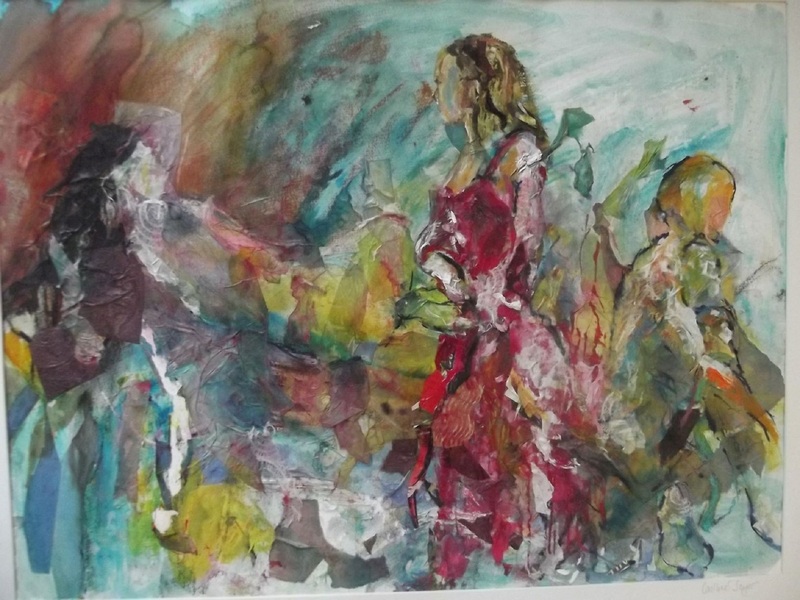 French artists visited and joined us in showing their works at the Society’s Landmark Summer exhibition, and in exchange Richmond artists showed their pictures in a beautiful exhibition in Fontainebleau in September of that year. The Society’s shows typically include over a hundred works on the walls, plus sculptures and ceramics. 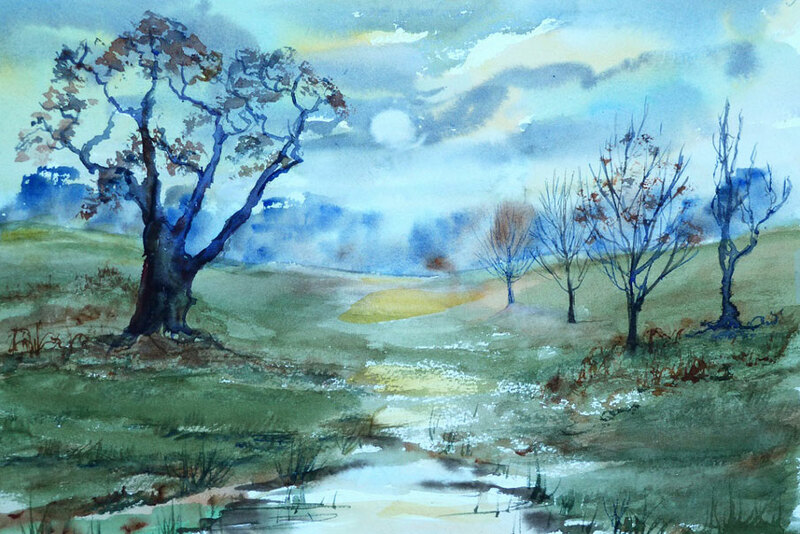 One can expect to see oils, watercolours, acrylics, mixed media, collages, drawings, pastels and prints as well as photographs, and among the prints there will be etchings, drypoint, screenprints and monoprints. And in addition there are likely to be another hundred artworks in the ‘browser’ display stands. All the works are for sale and prices are very reasonable, but there is no pressure and visitors are very much encouraged just to come and enjoy the displays. And perhaps also to discover many good reasons why they might like to join the Society. Since the 1980s the Society has also joined in the annual Richmond May Fair, along with the Arts Richmond organisation and other local societies. 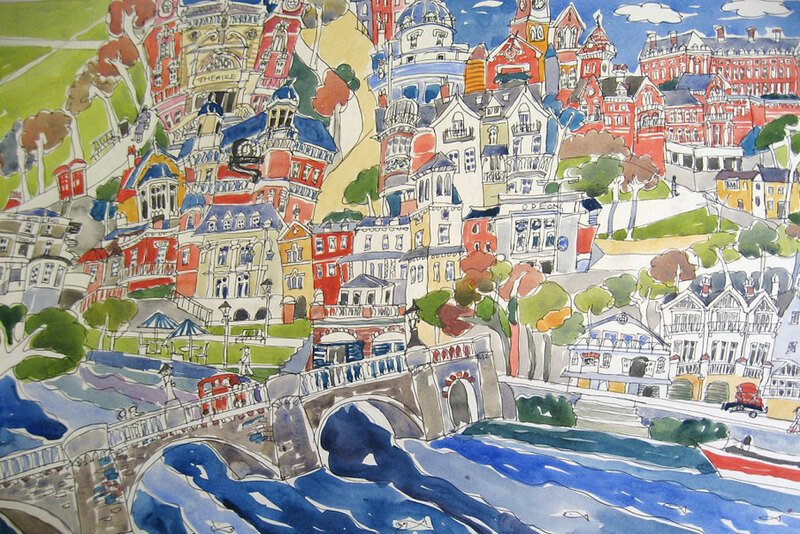 Here many hundreds of unframed works are shown in the Art Marquee, all at affordable prices.